Rabbi Aryeh Adler and his wife Bina (nee Shapiro) are both native to Los Angeles and have strong roots in the community. Rabbi Adler attended local Beverly Hills yeshivas before proceeding to the Ner Yisroel yeshiva in Baltimore, Marlyand. He later studied at Yeshiva Gedolah of Passaic in New Jersey and in the Brisk Yeshiva under Rav Dovid Soloveitchik of Yerushalayim. Rabbi Adler then joined the Kollel at Beth Medrash Govoha in Lakewood where he received his semicha ordination and practical rabbinic training. He is the son of Dr. Robert and Mrs. Agi Adler, and a grandson of Mrs. Lilly Adler and Mr. Simcha Farkash, both stalwart members of Beth Jacob. His wife Binah is the daughter of Rabbi Alter and Mrs. Shira Shapiro. 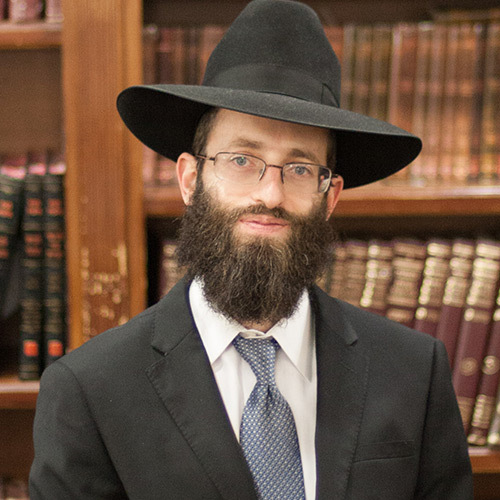 Since his arrival in Los Angeles, Rabbi Adler has had a great impact on the community both in his capacity as Posek and through his meticulously prepared shiurim.